The London Organising Committee of the Olympic and Paralympic Games (LOCOG) was the organisation responsible for overseeing the planning and development of the 2012 Summer Olympic and Paralympic Games. It was jointly established by the UK Government's Department for Culture, Media and Sport, the Mayor of London and the British Olympic Association and was structured as a private company limited by guarantee. LOCOG worked closely with the publicly funded Olympic Delivery Authority (ODA), which is responsible for the planning and construction of new venues and infrastructure. The organising committee, which was not responsible for building permanent venues, reported spent £2.38 billion since winning the bid in 2005 and generated £2.41 billion. On 30 May 2013 it handed back to the government, Britain's Olympic committee and other beneficiaries a surplus of £30 million from the 2012 Games. The British Olympic Association received £5.3 million, the British Paralympic Association £2.6 million, and £20 million was returned to the Department for Culture, Media and Sport. On 6 July 2005 the International Olympic Committee (IOC) chose London as the host city for the 2012 Olympic Games. After the success of the London bid, LOCOG was formed to continue the work started by the bidding team. LOCOG was officially designated as the organisers of the Games at its first board meeting on 7 October 2005. Members of the IOC from the host country are required by IOC rules to be on the organising committee board, as well as representatives of the host Olympic association and Paralympic association. 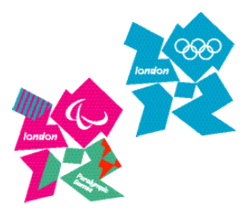 ^ "Records of the London 2012 Organising Committee of the Olympic and Paralympic Games (LOCOG)". National Archives. 2005–2012. Retrieved 30 July 2013. ^ James Riach (30 May 2013). "British Olympic Association gets £5.3m windfall from London 2012 surplus". The Guardian. Retrieved 30 July 2013. ^ "LOCOG Board". London2012.com. Archived from the original on 2011-11-29. ^ "LOCOG Senior team". London2012.com. Archived from the original on 2009-12-03. "London 2012: LOCOG formally established". Olympic.org. International Olympic Committee. Archived from the original on 2005-12-07. This page was last edited on 23 February 2018, at 21:41 (UTC).